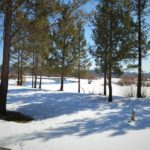 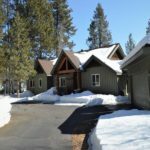 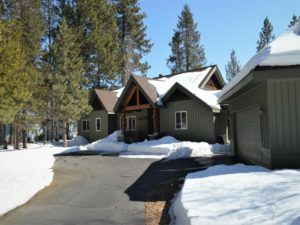 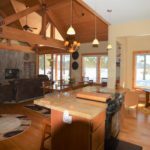 Amazing Big Deschutes Riverfront home is officially for sale, it will not go out to the public until the snow is gone and the yard is ready. 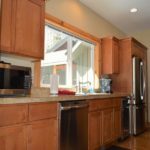 But that doesn’t mean you can’t see it or buy it before that happens. 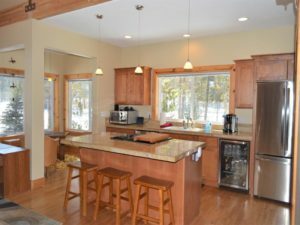 If you are currently working with an agent, have them contact me for showing instructions. 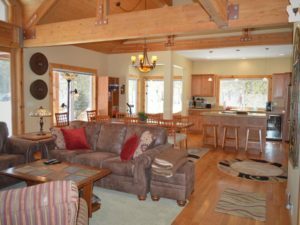 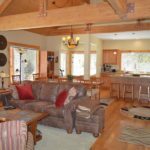 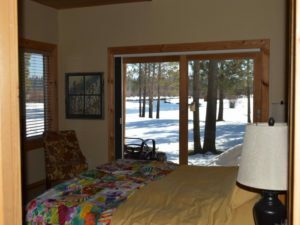 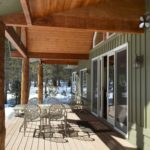 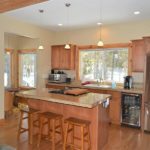 This single level home is located in River Forest Acres surrounded by nature and the Big Deschutes River. 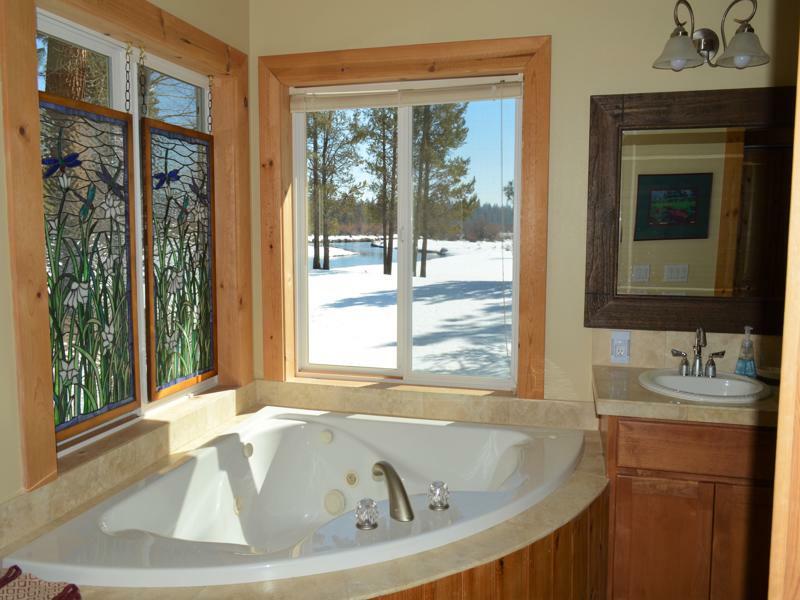 Views from the living area, master and master bath add to the beautiful Steve Madsen design. 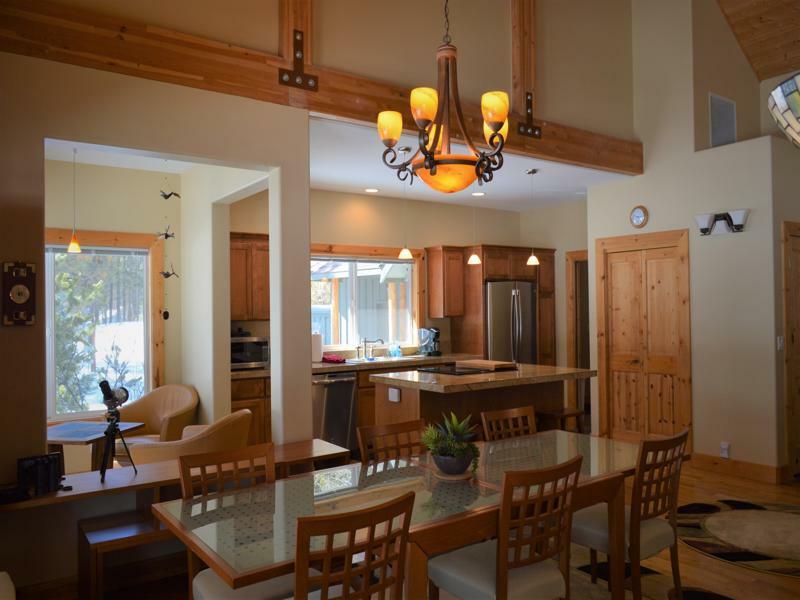 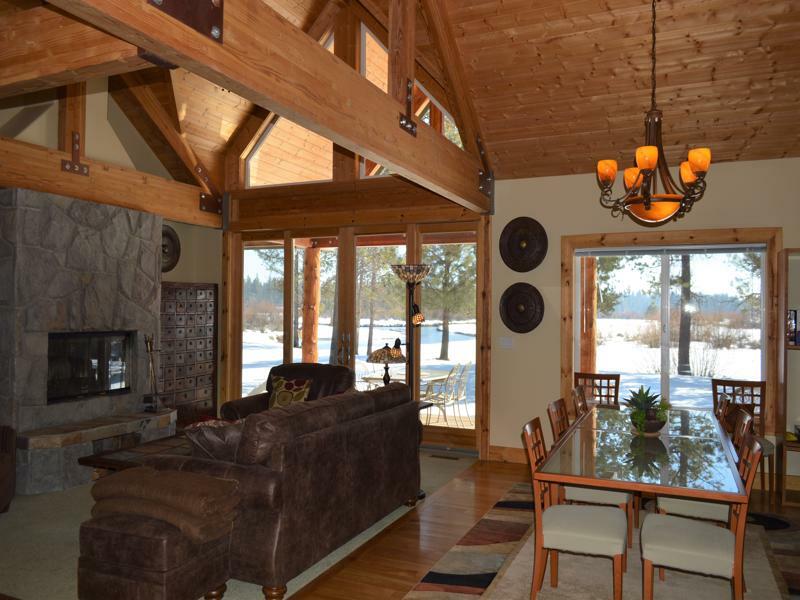 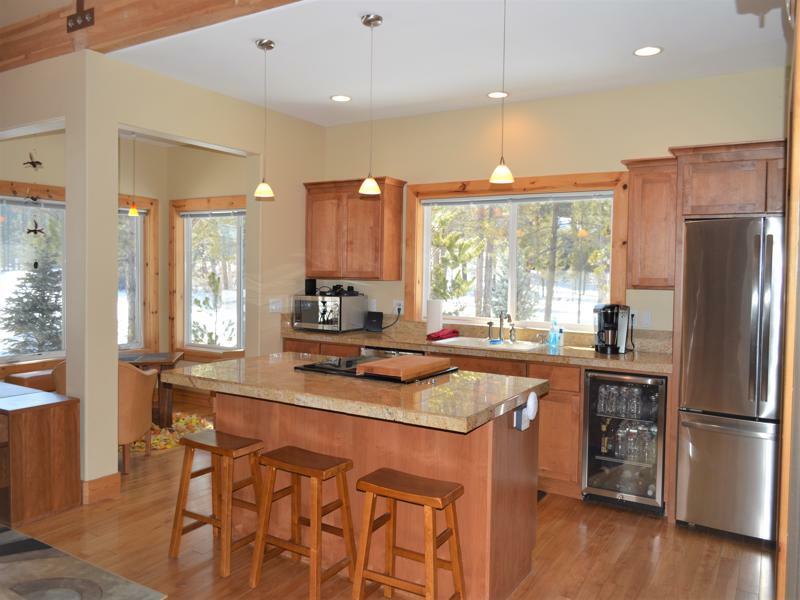 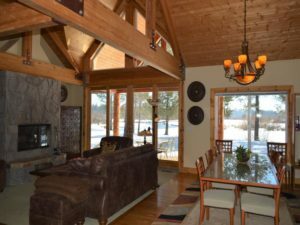 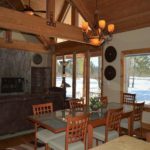 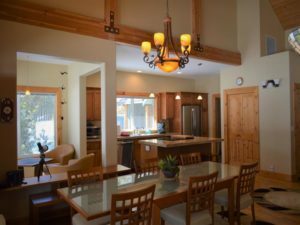 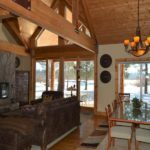 Huge beams, high vaulted ceilings and an open concept for living this home is a work of art. The great room is the perfect place for quite evenings or entertaining. 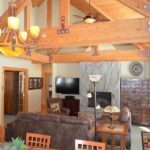 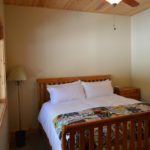 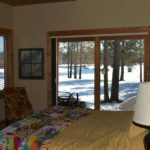 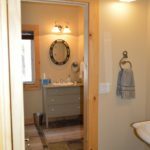 Master Bedroom is a retreat of tranquility – jetted soaking tub, tile walk in shower and water closet all over looking the river. 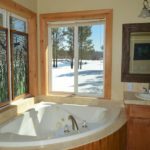 Watching the sun come up, the elk and the deer drink from the river.